The warm-up matches are already underway, and next Saturday night an exhibition Twenty20 match will bring the Stanford Super Series to a close. This is an exhibition match with a difference, though. The winners will receive $20 million, not bad for three hours’ work. For many of the purists this is the most worrying sign that Twenty20 is taking over cricket, and the general rich footballer hating public in England could potentially now have a bunch of cricketers to take aim at, as they begin to earn similar sums of money. There are many questions thrown up by this match and its incentives, but they are mainly based around wondering what the future actually holds for the game of cricket. Never before in cricket has a one-off match been worth so much money, be it exhibition or otherwise. Indeed, it is a rarity in any sport. Prize money is not in short supply in sports such as football or tennis, but the big winnings on offer in those games generally come about through winning a league, or beating several opponents throughout a tournament. The Stanford match, which England will play in five of over the coming years, is, quite simply, a one-off winner-takes-it-all contest. The best players from the Stanford 20/20 versus England. It is not even a Twenty20 international. 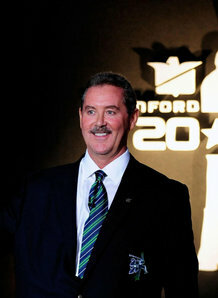 But Allen Stanford, a man who doesn’t seem to have been affected by the credit crunch, wants to pump some money into the game. The thing is, is this really the right way to do it? In short, the answer to the aforementioned question is no. The victors next Saturday will pick up twenty times more than India did for becoming the world champions of Twenty20. It is easy money. Many people are against sportsmen earning the obscene amounts of cash that they do. Politicians in England have been critical of the salaries that footballers pick up. Yet I don’t actually see that sportsmen shouldn’t earn big money, just the same way rock stars and actors rake it in. It is a simple case of supply and demand. If the public pay to see something, then the people providing the entertainment should be paid their share. With high-profile sports, fans pay a fortune to watch their teams both live and on television, and as such the participants are rewarded accordingly. And that is where the problem lies with this game. People will tune in for sure, many with a sort of morbid curiosity. And the ground will be well-attended, you would suspect. Nonetheless, supply and demand does not apply here. A rich guy has decided he is going to pay a bunch of cricketers a one-off sum which is a huge amount of money. His intentions haven’t really been questioned, and nor should they be, but there can be no doubt that what he is doing is naive. Sporting wealth should be acquired through genuine success. However, the amounts of money available for Twenty20 in general are a source of worry for many who fear for the future of Test cricket. It is an argument which has plenty of logic to it; youngsters aspiring to be cricketers will notice that they can make ten times more money through playing Twenty20, be it in the Stanford Super Series, the IPL, EPL, etc, than they can from playing Tests. As such, they hone their skills to ensure that they have the short-form ability, and not the long-form. Consequently, Test cricket dies a dismal death, and becomes as forgotten as the old rule that allowed batsmen to attack fielders with the bat in the name of preventing a catch. I don’t see this as particularly likely. A talented cricketer is a talented cricketer. Twenty20 may get more youngsters playing cricket (as opposed to watching) and if these youngsters seek out a career in the game, they are highly unlikely to do so playing exclusively Twenty20, initially at domestic level. Obviously there will be specialists, like there have been in the one-day game for years, but it’s not like they have clauses in their contracts that say “I don’t do First Class cricket.” They are simply better at the shorter games than some of their team-mates who are better in First Class cricket. Even if kids grow up wanting to just be Twenty20 superstars, they will get nowhere if they don’t have an attitude that demands they work on all aspects of their game. If players are good enough to play the longer game, a good coach will bring out and develop these attributes. Matthew Hoggard famously found cricket boring up until he was about 18 and it hardly prohibited him from having a successful career; if somebody chooses to play cricket then they will play all cricket. To me, the long and short of it seems to be that cricketers can either earn their Test/First Class money (however much that happens to be) or they can have the incentive of continuing to earn that and then get the Twenty20 megabucks on top. People want to watch Twenty20, cricketers want to play it. No cricketer has come out and said, “I don’t want to play Tests anymore, I need to focus on Twenty20″ but many of them are no doubt delighted to be earning obscene amounts of money in the IPL for what they consider to be, on the most part, their secondary occupation. People have long talked about how Test cricket needs ODIs in order to survive; well now Twenty20 can take over that mantle. The main differences between the advent of Twenty20 and that of ODIs is that there is clearly a lot more money being thrown about in Twenty20; this is because it has attracted a lot more interest. It matters not whether people who didn’t previously like the more traditional formats of cricket get turned on to them through watching Twenty20; some will, some won’t. What matters is that people want to continue to play cricket, as if they choose to play cricket and are good at it then their skills should come to the fore, regardless of the format that got them wanting to pick up a bat, ball or gloves. Back to the ‘big match’, it does pose some dangers. Whilst Kevin Pietersen, Andrew Flintoff or Chris Gayle are unlikely to be phased if they were to be the one to drop the catch that cost their team the game. For the younger players, though, it could have a seriously detrimental effect on their confidence, perhaps more so than if such a thing happened in a match that was more important in a cricketing context. Although the bulk of the ‘Stanford Superstars’ side is made up of current West Indies internationals, there are uncapped players such as Lionel Baker, Chad Hampson and Lindon James in the squad. For England, there are less established players like Luke Wright, as well as the likes of Ian Bell who clearly is a player whose confidence plays a huge factor in his performances. The thought of these players costing their team-mates a fortune is something that will worry them before the game and could haunt them for the rest of their careers if it was to happen. If such a thing happened to Andrew Flintoff, you would imagine that he would shrug it off and move on, because it happens. I will be watching the game, as any cricket involving my team appeals to me. The excitement of a victory will be hollow though, in all reality, because as a fan it is hardly different to a warm-up match on a tour, it doesn’t actually count towards anything in a cricketing context. Cricketers can and should start earning huge amounts of money through Twenty20, but hopefully in the future it will be money that is earned through actual success rather than one-off victories. Money makes the world go round, I am all for cricketers making plenty of it. But let’s see them earn it through winning world championships and proper tournaments. That way, perhaps cricket can prosper, and appeal to the young and talented as a genuinely glamorous career choice. Are England The Real Deal?